After a fairly brief introductory chapter, Byasse comments on Psalms 101-150 (though a volume devoted to 119 will be released later). Each psalm receives a few pages of treatment. Byassee’s comments are readable, wide-ranging, theological, and quick to jump to Christ and his church for application. One paragraph will speak of theosis, another of the practice of monks, another of Christ’s passion, and yet another will speak of anti-Semitism. Pastoral and theological rabbit trails are pursued. Bruggemann praises Byassee for a “readiness and capacity to read the Psalms with a christological tilt.” It is indeed welcome to encounter a commentary that is willing to see Christ in the Psalms. However, Byassee can find almost anything in them. What I mean is that Byassee reads the Psalms with a presupposition that any given psalm can be found to speak of Christ or his church. This is due to his appropriation of Augustine, whose insights reach far and wide aside from any historical or exegetical basis. This makes it easy to “find Christ” in the Psalms. However, it is not the hermeneutic of the Apostles, who appeared to have a logical and defensible rationale for their interpretations (see Acts 2:22-32). I believe there are better christological approaches that do not require such overriding presuppositions but are grounded in the canonical shaping of the Psalter and/or the hermeneutics of the Apostles. One looking for a recent Psalms commentary that faithfully follows an Augustinian approach would appreciate Byassee’s work. Though Byassee often consults recent scholarship, this should not be mistaken for a historical or exegetical commentary. Psalms 101-150 are a sustained attempt to recapture the christological and ecclesiological heart of the Psalms by returning to interpreters both ancient and modern for help. Much like Augustine, Byassee reads the Psalms pastorally, devotionally, and theologically for the benefit of Christ’s church. His insights are highly pastoral and devotional and most useful in these contexts. 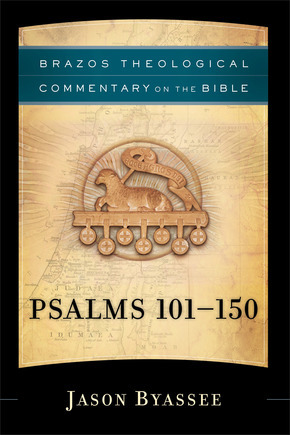 Purchasing Psalms 101-150 from this link supports My Digital Seminary. Many thanks to Baker for providing a copy of this book for review.